Watch for whales, dolphins and porpoises all along The Whale Trail! Depending where you are and when you’re watching, you might see one or more species. 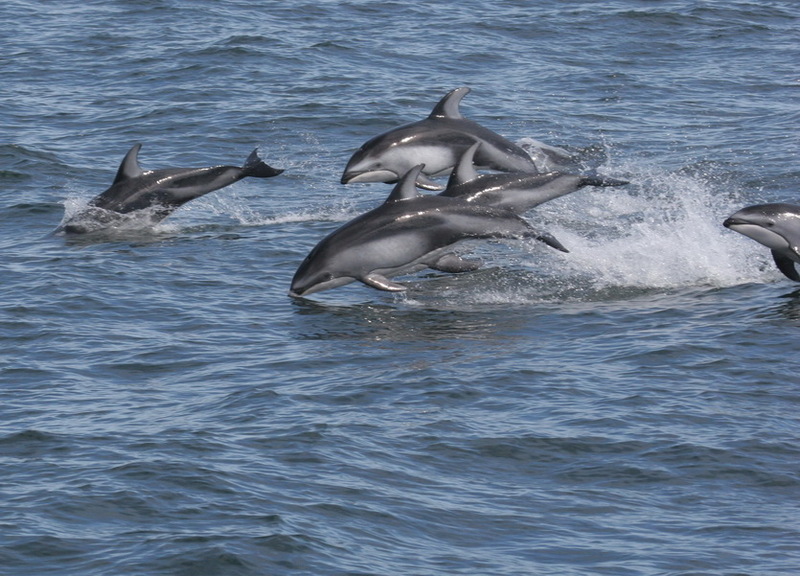 Whales, dolphins and porpoises share certain characteristics that group them in the scientific order Cetacea. They have two front flippers, and their tails are uniquely shaped into two horizontal extensions called flukes, which provide tremendous swimming power. The best way to spot cetaceans is by their blows (or spouts), dorsal fins, tail flukes and surface behaviors. The shape of the blow can help identify which species you are seeing. Watch for the heart-shaped blow of gray whales, the bushy blows of orcas, or the tall, columnar-shaped blow of a humpback whale. The blue whale is the largest mammal and possibly the largest animal ever on earth. 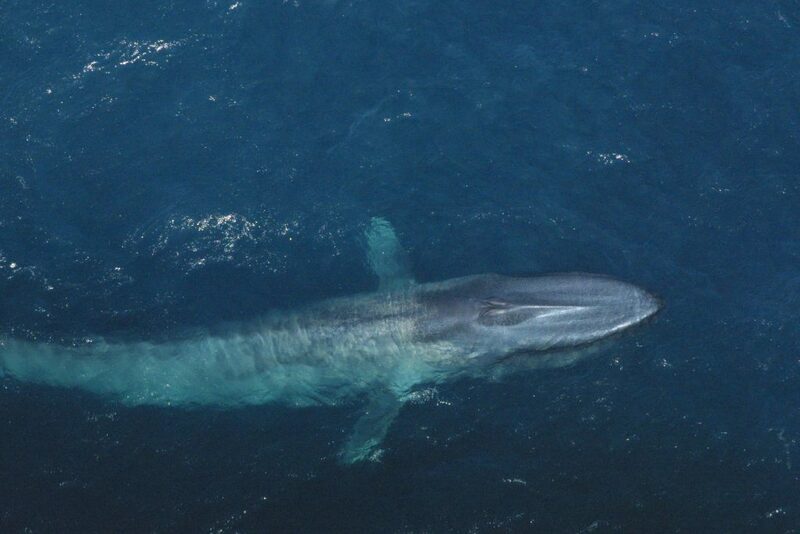 Blue whales are in the rorqual family, which includes humpbacks, fin, Bryde’s, sei, and minke whales. They are the largest baleen whale and the largest rorqual. 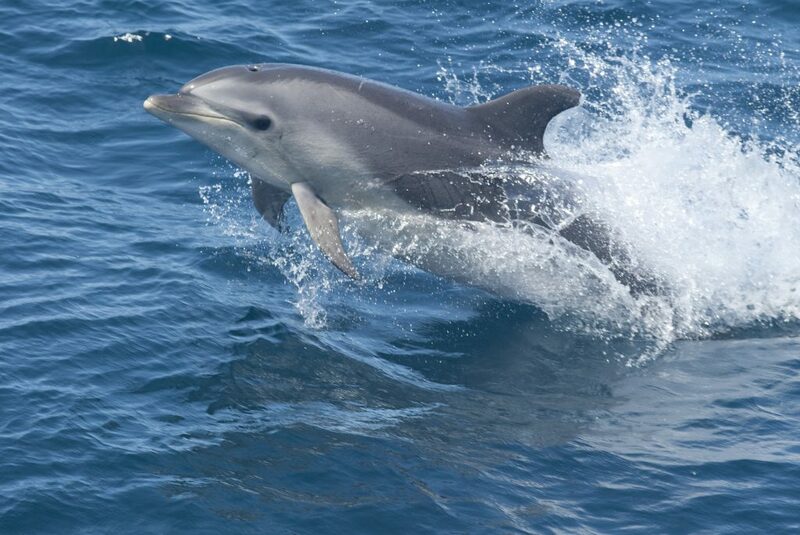 The bottlenose dolphin is identifiable by a short and stubby beak (hence bottlenose). The dolphin's color is light gray to slate gray with lighter sides and a pinkish belly. 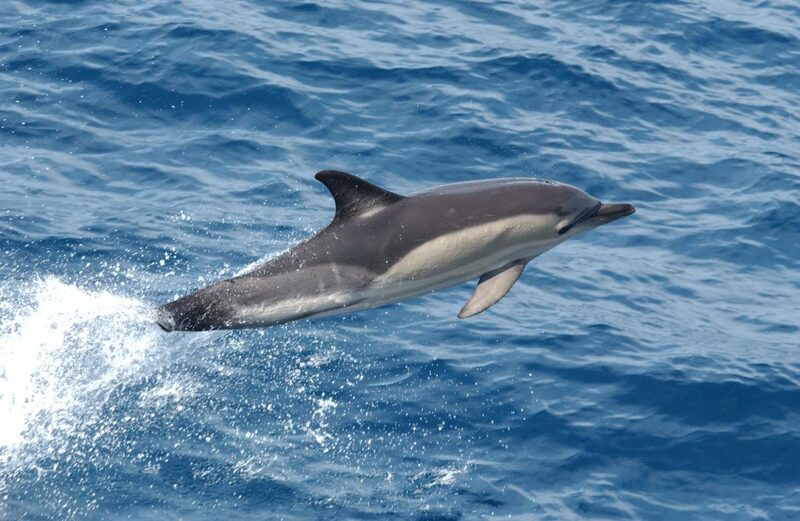 Common dolphins can be identified by their complex, colorful pattern of dark gray, light gray and yellow on their sides. 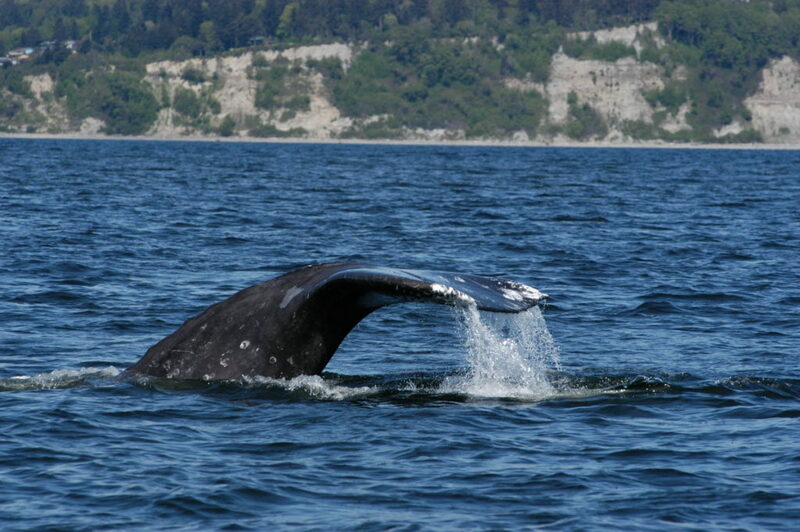 The gray whale is the only member of the Eschrichtiidae family. Different from many other large whales, gray whales are frequently seen close to shore feeding along shallow, muddy shorelines. The harbor porpoise is a very small cetacean with a robust body. Their bodies are dark on the back and light underneath. 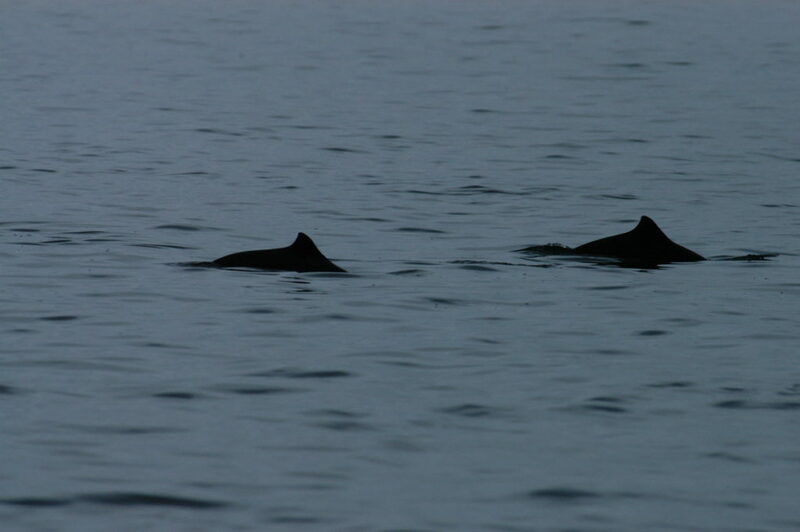 Harbor porpoises are not social and are often shy and elusive around people. 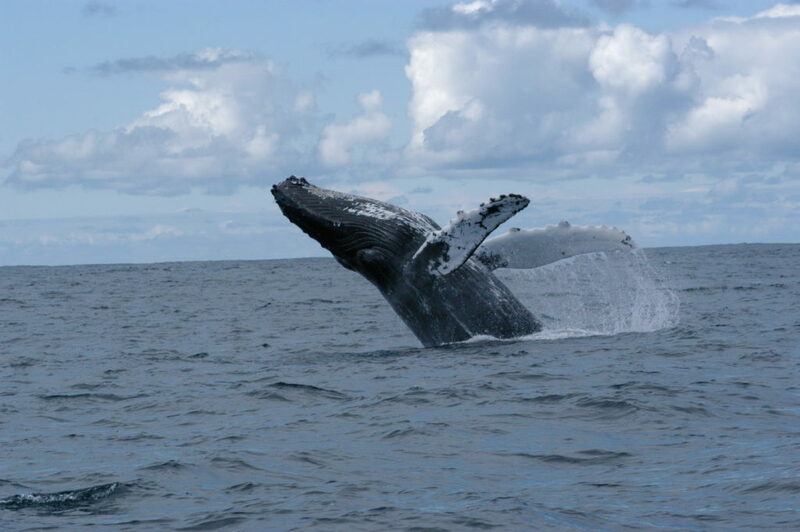 Humpback whales are large baleen whales with dark colored backs and white undersides. Their large pectoral fins, which can measure one-third of their body length, distinguish them from other whales. Unique patterns on the underside of their tail flutes make individual whales identifiable to scientists and researchers. 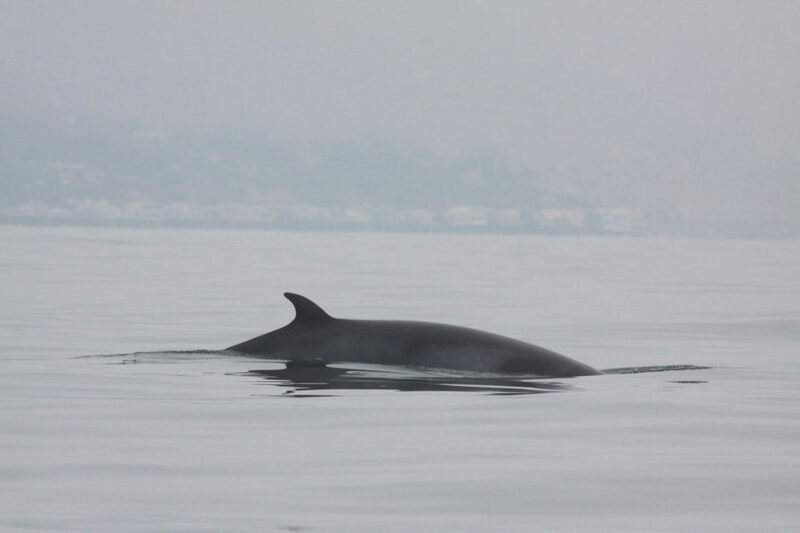 Minke whales are one of the smallest of all baleen whales, with a sleek body and sharply pointed head. Minke whales were jokingly named after Meincke, a Norwegian whaler who mistook them for blue whales. North Pacific right whales are large baleen whales with many distinguishing physical characteristics. 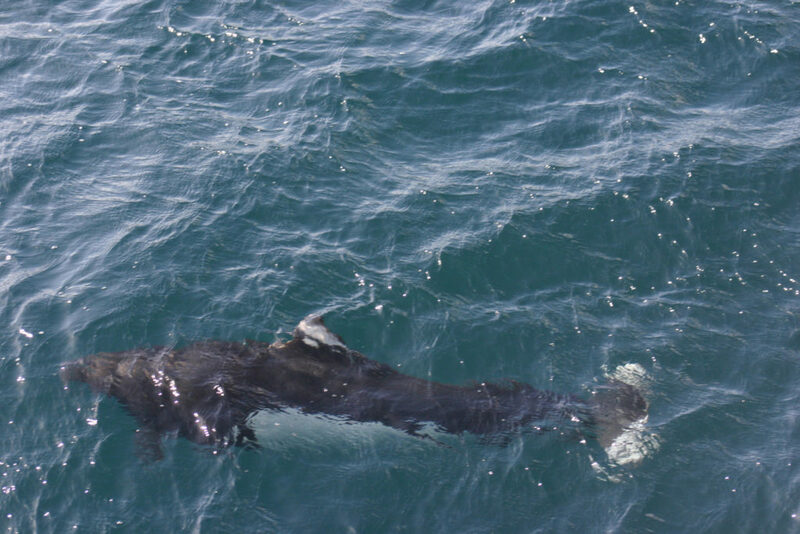 They have a stocky black body, white on the underside, no dorsal fin, their head is around 1/4 of the overall body length, the lower lips is strongly bowed, and large callosities (raised patches of rough skin) on their head. Orcas are the top predator in the sea, and the largest member of the dolphin family. 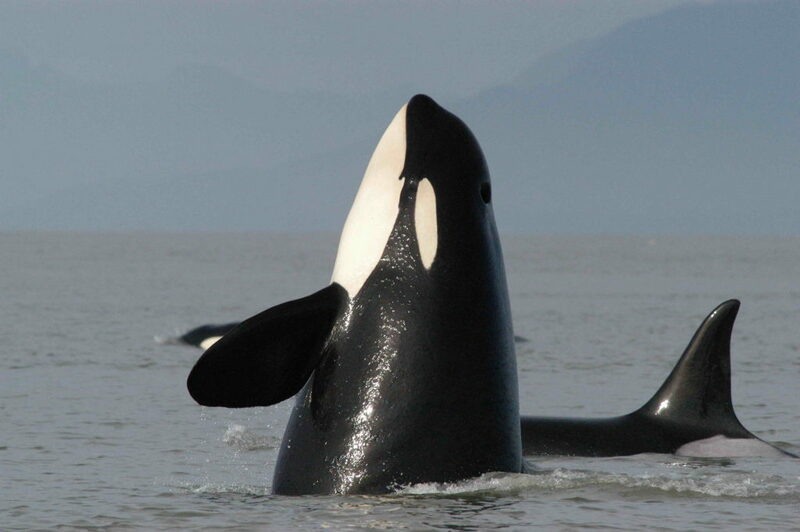 Also known as killer whales, they are icons of the Pacific Northwest, and the signature species of The Whale Trail. Often called “lags”, derived from their scientific (Genus) name, Pacific white-sided dolphins are often very energetic and acrobatic. They are robust with short beaks and a sharply hooked dorsal fin, and have unique coloring with light gray thoracic sides and white underbellies. Adult Risso's dolphins are gray with extensive white scaring. As the dolphins mature they can almost appear to be completely white. Calves are gray in color as they don't have the extensive rake marks. 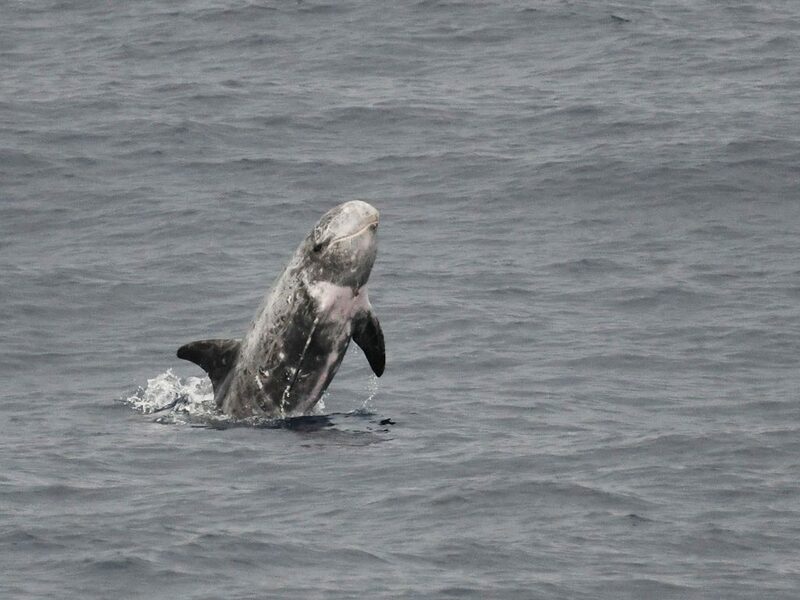 Risso's dolphins also have a white anchor-shaped patch, on their ventral/chest area (from throat to belly). All cetaceans exhibit behaviors such as spyhopping, tail-lobbing, breaching and porpoising. Unlike humans, cetaceans are conscious breathers, meaning they never fall completely asleep! Baleen whales breathe though a pair of blowholes and have specialized structures in their mouth called baleen instead of teeth to help them trap small fish and plankton. 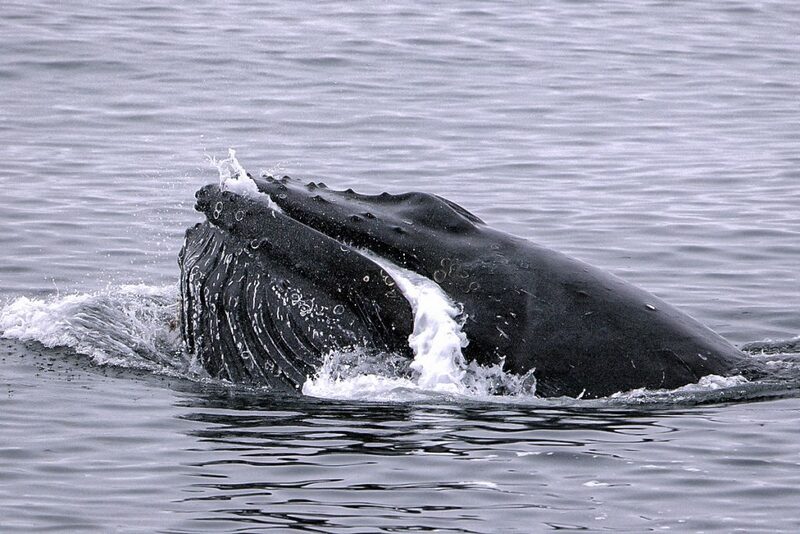 Baleen whales include gray whales, humpback whales, minke whales, fin whales and blue whales. Toothed whales, including dolphins and porpoises, are usually smaller than baleen whales and have one blowhole. Toothed whales are selective eaters and often hunt down individual animals, such as fish, squid, seals or sea lions.